The number one way to influence is to find the intersection of three areas: what do people like to do naturally (some people call this passion/talents), what things in life are causing stress (and therefore need to be addressed), and finally what dreams do they want to achieve. Adam Ward is an Innovation Coach, Author and Speaker with over 25 years of strategy and product development experience. He began his career as a design engineer at Honda R&D before becoming the Lean Product Development Strategy Leader at GE Healthcare. Now at Simpler, an IBM Health Company, Adam coaches C-Suite healthcare teams worldwide on client delivery redesign with a focus on new product development, services enhancement, and organizational transformation. He is one of the early adopters of innovation techniques in healthcare and has been at the ground level for major projects, including GE’s $8B Diagnostic Imaging Division. He is the creator of GE’s Disruptive Cost Workout methodology, which continues to be their business standard. 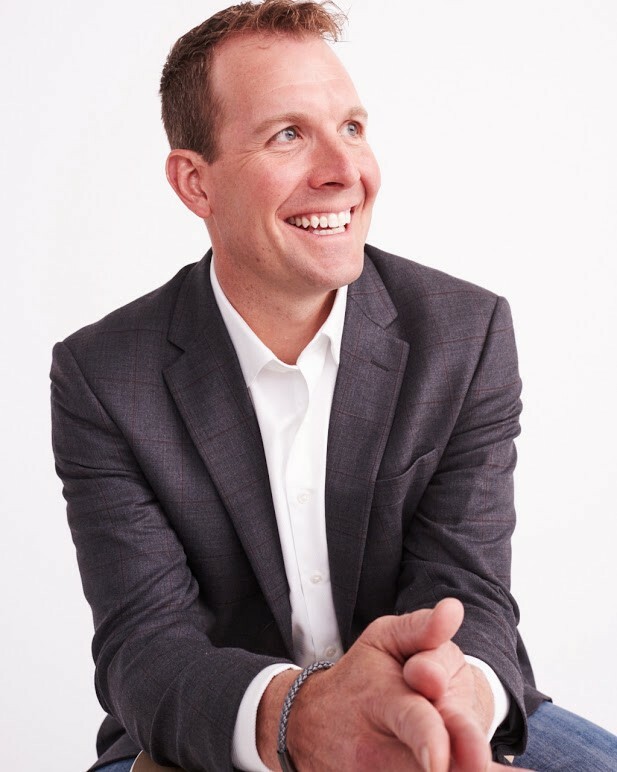 As an innovation consultant with Simpler, Adam has guided clients like Atrius Health, Northwestern Mutual, Lockheed Martin, and the U.S. Air Force to leverage lean product development to increase the ability to create new products, services and patient-care models. His project at Lockheed Martin won their prestigious Team of the Year Improvement Award and Adam has won the President’s Award from Honda, GE and Simpler for his innovation methods. Adam has a Bachelor’s Degree in Mechanical Engineering from the University of Maryland and an MBA from Ohio State University, in addition to attending GE’s Crotonville leadership courses and its Management Development Course. 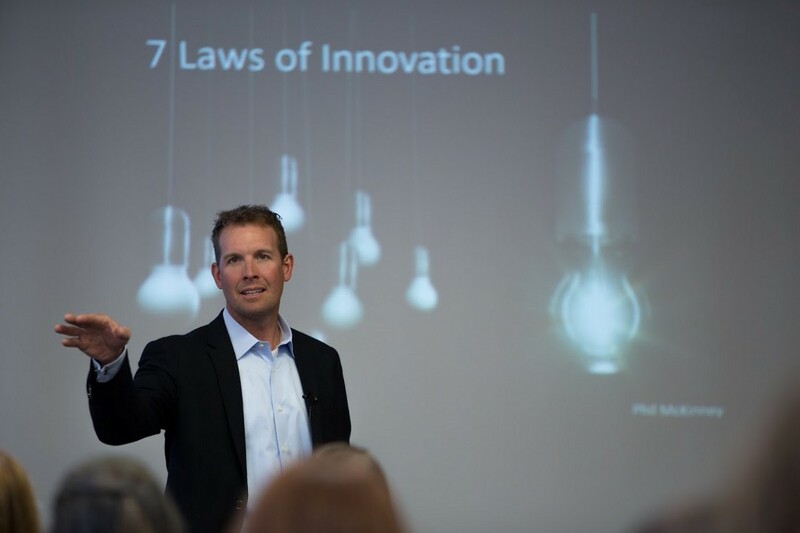 Adam now guest lectures at Ohio State for both graduate and undergraduate programs on innovation, leadership, customer understanding, and change management. 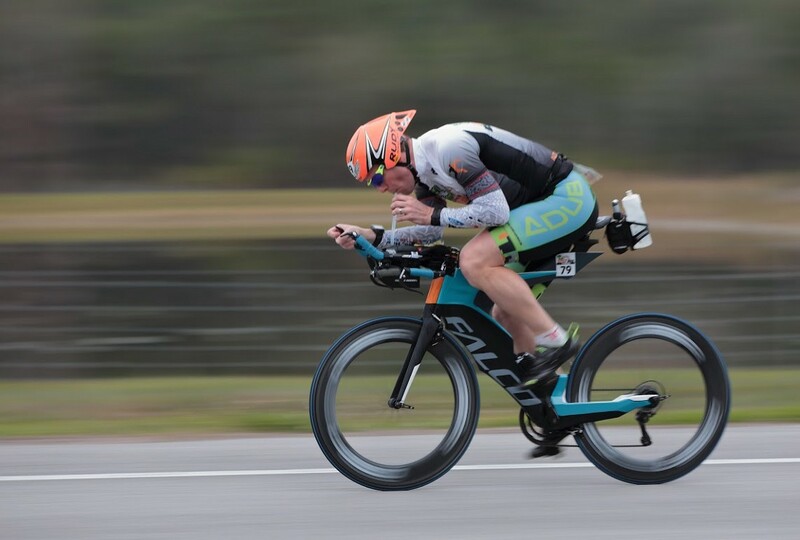 An accomplished triathlete, Adam has completed an Ultraman, finished three Ironman, competed twice in the US National Championship and twice in the Ironman 70.3 World Championship. I am a 45 year old that has been married 26 years. We have three adult children: 25, 23, and 21. My undergrad was in mechanical engineering, leading me to twelve years of designing cars for Honda. Then came a major career change to healthcare and I now have the same amount of years in healthcare. I am both a patent holder for vehicles and a best-selling healthcare author. Volunteering is big for me so I have spent decades mentoring youth and young adults. My personal health transformation. I had little balance at the onset of my career, leading to poor health. Ten years ago, I changed that, becoming an accomplished triathlete, competing in the world’s biggest and longest races. This lifestyle change inspired my family members, friends, and acquaintances to change their health too. My biggest challenge was learning how to deal with office politics, specifically bosses that didn’t value performance as their number one goal. I had one boss that drove me crazy. I couldn’t figure out how to win with him despite my team’s superior results. My dad gave me the book High Maintenance Relationships by Les Parrott. The book covers fifteen impossible people types. It was a game changer for me. I could diagnose bosses and play to their style to win in my career, often with far less effort. This allowed me to develop myself at a higher rate by minimizing the amount of time I spent on wasted efforts. Promotions and career opportunities came at a much higher pace. I like to use John Maxwell‘s definition of leadership which is “leadership equals influence.” If you have no followers, you aren’t leading. If you can influence, then you have followers. The number one way to influence is to find the intersection of three areas: what do people like to do naturally (some people call this passion/talents), what things in life are causing stress (and therefore need to be addressed), and finally what dreams do they want to achieve. Sometimes people need some of those areas defined for them or certainly clarified. If I can paint a picture of what exactly needs to be done and what that is for each individual, there will be a team of followers that naturally forms. The better the alignment is for the three areas, the stronger affinity and longevity for team members will be. The three biggest shapers of my life have been my wife, my mom and my dad. My wife has helped form me into a grounded, balanced individual; my mother cultivated my creativity and imagination; and my father developed my work ethic and drive for excellence. Along my journey, there have been individuals that have inspired me to become better. Some of those were bosses at work, some were leaders at organizations I volunteered with, and others were famous authors or speakers. My first job was with a Japanese firm that did not value family. We were forced to work long hours and then have after work time with co-workers. Very few events included spouses and children were almost never mentioned. Eventually enough of us were struggling so a grass root effort to make changes began. The culture never did adapt quickly enough. I ended up focusing my work effort on managing my boss until I could find another place that valued my non-work life more. For the past decade, I have been highly focused on balance and have put several personal habits in place that assure continuation. While it is very easy to measure success on a single axis, I have found that I need to fully integrate all areas of my life to understand my “success.” Any time one area of my life has significant accomplishments, it becomes easy to use that as the ruler for success, often at the expense of other areas. I have found a small diversification of success axes actually propel me faster and further in all areas. Manage time. Realize that work, family, and personal/hobbies can each demand all 24 hours of your day. We are personally responsible for deciding the breakdown of those hours. Maximize family. Read The Five Love Languages by Gary Chapman. When you know which area each family member appreciate, it allows your time and effort with them to be maximized. Get a hobby. I always consider it a sign of a bad leader when they can’t tell me a hobby. It tells me that they don’t have circles they interact with outside of work or family. They become single-dimensional due to clear work-life imbalance. Volunteer. Pick an organization and do regular, non-compensated effort. This let you help others and remind you that everyone needs someone else giving them a hand. Stay healthy. You have the highest levels of energy when you are healthy. It also allows creates focus and discipline. It’s hard not to be selfish when we are distracted by physical or mental pain caused by poor health. For me, it’s when I’m helping others achieve their potential. This could be through teaching, mentoring, or empowering. I like guest lecturing for undergraduate and graduate courses at my alma mater. Great students are so eager to learn and apply their learnings for success. This is the same for sharp employees or volunteers. They are my favorite types of people to work with. Honestly, I think it would be a reboot for organized religion, specifically Christianity. For the last couple of thousand years, Christians and related organizations have historically made the biggest positive impact on society. Unfortunately, they have also abused their power and had some of the most negative as well. The vast majority of churches have become irrelevant to today’s culture and help their communities very little. Whether or not people believe in Jesus as a Messiah, if everyone were to follow his behavioral examples, the world would be a much better place.